I can not get Lauren's post of simplyljk out of my head. It was one of my favorite. I have been wanting to write a post like that for a long, long time. Blogging is a funny thing. You meet some folks who you think are really friendly from afar, and then suddenly they stop following you out of the blue. I do my best to comment on many blogs I read. I know I need to do even better, but with a full-time teaching job it is just too hard. I think some people get into blogging just for the sole purpose of bragging. I try not to be one of those braggers. I admit I am fortunate and have a good life. I am thankful to J for allowing me to do what I LOVE to do. I agree with Lauren, there are lots more important things in life that what you can buy and show off to the world in blogging. I have been told by these so-called "expert" bloggers that my photos are not high resolution enough and don't look professional. Guess what? I am NO PROFESSIONAL. If I choose to take pics with an iPhone, so be it! It is my prerogative. And do not get me started about that chalk paint CRAZE!!!! I despise the look of chalk paint. It looks so cheap. Ugh! Yuck! 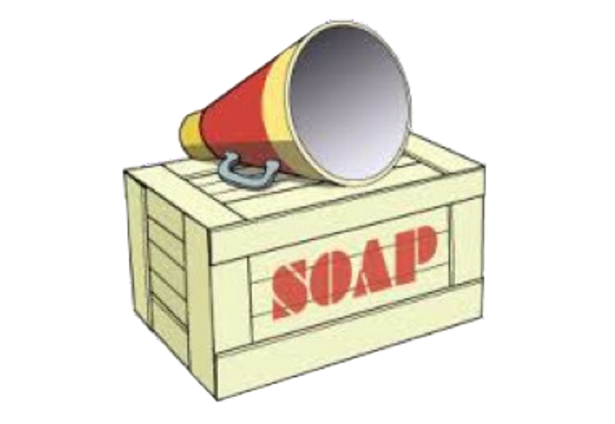 That is another "soap box" for another time. This blog is my opinion. If you don't agree that is fine by me. Differences make the world go round. 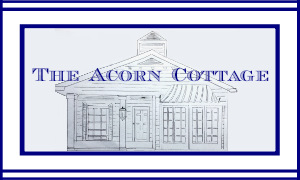 If you stop by, be nice and leave a comment!!!! The Wonderful World of Blogging, y'all! I love your blog and read it every day. I don't think you need to change a thing! Chalk paint craze needs to go away. Thanks. We agree on that awful chalk paint. Love you! To each his own, just be kind and considerate. I enjoy stopping by for a visit to your blog, Ron! P.S. Most of my photos are taken with my iphone as well! LOL, Lord love ya, Ron...you probably just shot yourself in the foot there with the chalk paint comment...lol You are right- it is your blog and your preogative to say/feel/think whatever you want to say/feel/think. I really admired LJK's post, too. She is a great gal and good for her for saying what she feels. ps. I no longer have a functioning camera so I am stuck with my Iphone pictures unless the kids take pity on me and send me theirs. Alrighty then!!! 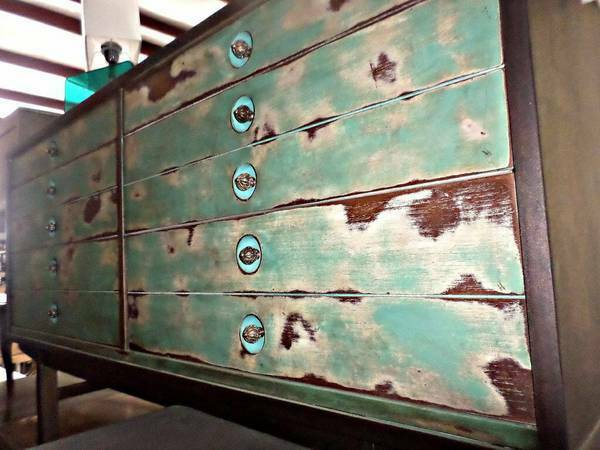 Now, I happen to love chalk paint even though I probably don't use it as well as some others. If you know the good techniques with layering and waxes etc. then it looks pretty darn amazing to me. But one thing I've learned to appreciate with age is that everyone is entitled to their own opinion. I like faux flowers and did a post about it. Some people agreed with me and others thought only fresh were the right kind for their home. To each his own. I'll tell you something someone told me many many years ago. It resonated with me. I use to tell him about some neighbors that would put up stuff for the holidays in their yard that I thought were tacky. He said, well if everyone did the same thing, wouldn't the world be a boring place? I thought about that and realized he was right. I still do what I prefer but let others do as they prefer and just let it go. It used to really bother me. I try to do the same in blogging. I will run my blog my way and let others do it their way. Some want to be bigger and better. I do mine for fun (with a little spending money earned from it) and try to share things that others might be interested in. That's it. I'm not jumping on every ad endorsement band wagon and sponsor write-up. I'm not spreading myself thin on every form of social media I can to drive my numbers up. Why? Because I don't want to invest THAT much of my time into it. If I worked outside the home (like I used to) I definitely would do less than I'm doing now. I've had to learn to set limits with how I spend my time so I don't over stress myself. I am HIGHLY affected by stress. So, when it comes to blogging, if it's not fun, I don't do it. It's that simple. I will have to go read that blog post you mentioned. It sounds like a good one! omg. How have I not been following you?! Actually just became one of your newest followers because anyone who writes such an honest, dare-I-say-blunt post with so much gusto is someone I want to know. I just read Lauren's post and I agree, it is powerful for it's realness. She is one of the sweetest people period, isn't she? Regarding her content, I think we all have to make peace with how we work blogging into our lives, and I can only speak for myself, but my posts have dropped in half because of some of the very thoughts Lauren so eloquently expressed. I also know I will never be a 'big' successful blogger because I have a problem with skipping through the seasons in order to stay ahead of the seasonal decorating posts. I prefer to stay in the present in the blog world and in the real world. It just feels better for me. Although I do appreciate those decorating bloggers who post Christmas material in November. It's quite amazing to me actually. Thanks for this post, I do have to admit you made me laugh out loud about the chalk paint. Thanks Leslie. I just cannot take the fakeness of some bloggers. Hey, Ron. You've piqued my interest so now I'll have to go back to some of your old posts to see what all the hubub is about. I've always enjoyed reading your blog and I think that you are a truly nice person. I don't know why some people must be so unpleasant. In the words of Rodney King, "Can't we all just get along?" Wow Ron look at all these comments! I didn't know you had critics like that. Some people really need to chill out don't they. Perhaps you're hanging with the wrong crowd! Nah! I am thankful for my blog friends, just not the fake ones who pretend to be someone they are not! I won't at all. That is one thing about me, I am no fake person. I have no time for that. What a refreshing post Ron....I haven't read Lauren's post yet but will shortly. I'm really bummed out with blogging, it's been almost 2 months since I posted. This December will be 9 years for me. I'm pretty active on IG and plan to go that route for the time being. Blogs have changed so much over the years, and not necessarily for the good. Too many sell outs if you ask me! I don't want to read a "commercial" or see another bragging post, just something real and something I can relate to, like yourself. Have a wonderful weekend Ron! Ron, I love reading your blog daily, even if I don't always comment :). For me blogging is a creative outlet, and you, my friend, have more creativity and class in your little finger than most. Oh, and chalk paint?? I know the blogging world and Pinterest tell me I should love it, but I think it looks cheap, too....or let me rephrase, the only time I have considered it is if my original piece was so cheap I'd paint it. I've never commented on your blog before, however, this blog was calling out to me. It seems there are always those who feel they have to be the "boss of me". If you changed your blog you would be like everyone else! I subscribe to lot of blogs - most of which I just "mark read" and go on. Your blog I actually read! Thank you. I love your blog. I love your fun style. It is so refreshing to read about real people who express themselves and not follow the generic blog posts. Thanks Ron. Keep on doing what you do so well. Please stay authentic. I love your blog! It is you and your point of view and it's refreshing to me. Your home is unique and fun. I stop following blogs that lose their individual personality so you aren't in any danger my friend! Big Hugs! I can't remember if I've ever commented on your blog before or not... call it old age, but I've certainly enjoyed reading your post for awhile now. You had me at NOLA. First trip there was two years ago and want to go back over and over again. You help me do that with ever post. First, I love chalk paint IF it is done well. Although I will admit that on some levels reminds me of the sponge painted wall phase. Yep, cringing now just thinking about that! Yikes!!! My first job is repainting furniture. ( not all in chalk paint. lol!) I love giving worn out pieces a second life. Although I refuse to paint some antique pieces. Second, I never thought of blogging until a 20 something friend told me that I should do it "so people her age would know how to do stuff". So I did. I still use my iPhone to take photos. Nope they don't look like a pro's. I don't have an all white house. Mainly because I actually live here. My main reason for writing you today is that this post resonated with me on so many levels. I am scheduled for knee surgery soon and have been panicked about getting posts done ahead of time. Yesterday I had enough. Who cares if I miss a few posts? The world didn't stop before I blogged and it won't stop now. Maybe it's time to just sit back and read other blogs and get some inspiration. JUST relax, heal and enjoy! Thanks for the reminder -and the affirmation - my friend! I look forward to checking in with you each day. I think we are all lucky to check in and see what you are up to. I would have loved to have a teacher as wonderful as you. Your students are so lucky. Bev Martin, upstate NY...no power here today due to SNOW. All I can say is that if all the blogs were the same, it certainly would be boring! Each of us have something to contribute and hopefully make someone's day a little brighter....Have a great weekend! Ron, I never take the time to post comments but I have to this time. First of all, your blog is one of my favorites. I enjoy every one of your posts. Your home and your city are beautiful. I think your photography is wonderful. To me blogging is about a glimpse into the life of the blogger. The commercial ones are just that, commercial as in selling something. I have come to realize that so as not to be susceptible. I hope you keep writing your blog to entertain us and show us your creativity and the beauty of your city. Oh Ron, I love your blog. I will admit I comment sporadically but I am faithful follower. 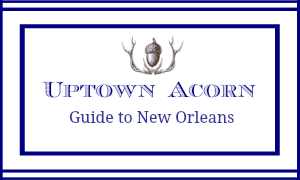 I love seeing Uptown Acorn in my inbox and IG. I love your iPhone pictures too. I just wanted to tell you I love your blog. I know my comments are sporadic but I am a faithful follower. 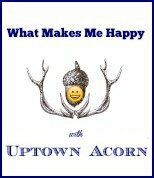 I love seeing Uptown Acorn in my inbox or on IG. I love your iPhone pictures too! I enjoy your blog because you cover one subject at a time and it can be read quickly. Some seem to enjoy lengthy articles that are time consuming to read. I like the sharp and to the point method! Hi Ron- I read your blog daily and love it. I went to dinner at Fishers in OBA last night and thought of you! Keep doing what you're doing as you have many many fans like me that appreciate you sharing your cool world with us. Keep blogging and enjoying your life! We love you! Ron, LOVE YOU!! You're the King. I agree - chalk paint is yuck. I guess they had to do something with it since those in your industry upgraded to white boards, iPads and projectors. Keep on doing what you're doing on your blog. Our Seahawks are in town playing your Saints this weekend ... enjoy the game! 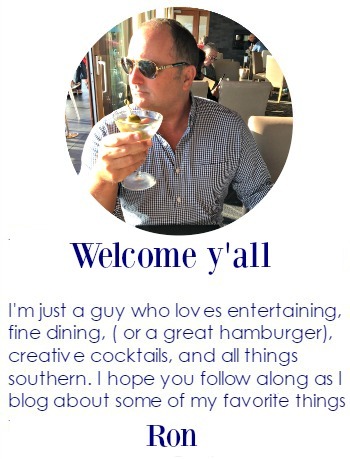 All the best to you and J and your beautiful first-class elegant and preppy Uptown Blog. XoXo. Wow, Ron, how did I miss this post? I hope you don't ever change your style! I look forward to your posts! I just had the conversation with my husband, the other day, about how much I am loving IG, as opposed to blogging now. Everything is starting to look the same. I was so uninspired that I didn't blog most of last year. Keep doing what you do! Ron, I enjoy your blog and appreciate the time and effort you put into it. I don't understand the mentality of critics. As my grandmother used to say "Bless their little bitty hearts, poor things." Ron I am coming to read this a little later than normal. Glad your spoke your mind here. What I love about blogland is that you can meet alike peeps that get your style and you can also meet bloggers that have different taste than you. 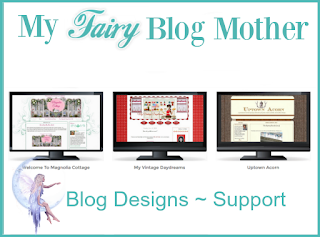 I have always loved all the eclectic bloggers I have come to know and become friends with. Some of them are so different from me and my decor tastes but I love that we can enjoy and embrace each others styles. I just love to see all the creativity even it if is not necessarily something I would have in my decor. I think the fun and many creative styles out there is what makes blogging enjoyable. God help us if we all like the same thing how boring would that be. I have always lived by the motto surround yourself with what you love and you will always be at home. Love your style and your honest blog Ron. I like chalk paint but would NEVER get rid of you! Laissez les bon temps rouler!!!! I too don't comment very often. I actually go through spells. But boy o boy... both you and Lauren hit the nail on the head!!! Be yourself, and if yourself isn't humble and kind (which both of you are) the change yourself. I think it is one of the reasons I have halted blogging so soon after coming back. Stay you Ron! I am way late to the bandwagon; it was very busy week around these parts. I am a longtime reader of yours. Even though I rarely post myself, I was always an avid blog reader until this past year. I have just lost interest in most of them. Your blog, however, is one of the few left in my reader and it us precisely because of how genuine and open you are. 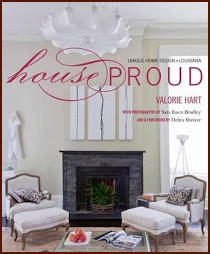 I love seeing pictures of your home that are not overproduced. So often, I feel like the blogs I read are just big advertisements these days. I also get the sneaking suspicion that we are looking at one beautiful corner of a room, but I can never trust that the rest of it looks any good. In your home I can tell that everything is well- love and well-designed. I also love when you share Snippets of your life around New Orleans and your work at school. Oh my. The professional grade photos are exasperating to me. I just want to have fun blogging and maybe make a little money. I love blogging. I only teach three days a week but I agree it is hard to get around and visit as much as I wish. I hate chalk paint too. I'm so sick of it! I have my own strict blog philosophy just like I do other areas of my life. I only read blogs that are like walking into someone's house-you get an idea for who the author really is and what they're really like. I hate blogs that take themselves too seriously. I especially hate it when bloggers don't interact with their readers! What is that?! People take the time to comment, be gracious! I know you feel the same way as you always answer comments here.